Over the last several decades, nanoparticulate delivery systems have emerged as advanced drug and gene delivery tools for cancer therapy. However, their translation into clinical use still poses major challenges. Even though many innovative nanoparticulate approaches have shown very positive results both in vitro and in vivo, few of them have found a place in clinical practice. Possible factors responsible for the existing gap in the translation of nanomedicine to clinical practice may include oversimplification of enhanced permeability and retention effect, lack of correlation between the in vivo animal data vs their translation in human, and challenging multiple biological steps experienced during systemic delivery of nanomedicine. Understanding these challenges and coming up with solutions to overcome them is an important step in effective translation of nanomedicine into clinical practice. This review focuses on advancements in the field of nanomedicine used for anti-cancer therapy, including passive targeting, active targeting, and stimuli-controlled delivery. 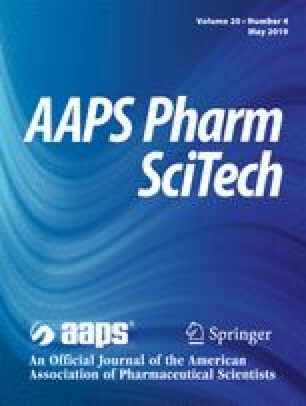 The review further reveals some of the challenges that are currently faced by pharmaceutical scientists in translation of nanomedicine; these include lack of adequate models for preclinical testing that can predict efficacy in humans, absence of appropriate regulatory guidelines for their approval processes, and difficulty in scale-up of the manufacturing of nanodrug delivery systems. A better understanding of these challenges will help us in filling the gap between the bench and bedside in cancer therapy. Krauss AC, Gao X, Li L, Manning ML, Patel P, Fu W, et al. FDA approval summary: (daunorubicin and cytarabine) liposome for injection for the treatment of adults with high-risk acute myeloid leukemia. Clin Cancer Res. (ahead of print). https://doi.org/10.1158/1078-0432.CCR-18-2990. NanoHybrids. Nanoparticles approved in the United States (US) and Europe (EU) for medical applications. 2017 [cited 2019 Mar 7]. Available from: https://nanohybrids.net/pages/cleared-nanoparticles-for-medical-use.